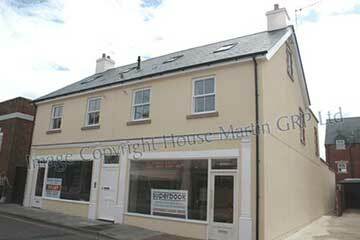 In Autumn 2011 House martin were approached by R.G. 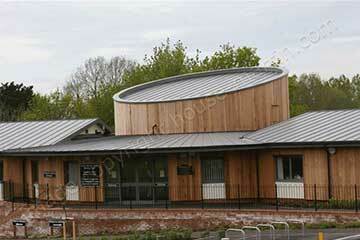 Carter who were undertaking an extension at the Lifespring Church, Ollerton, Nottinghamshire. 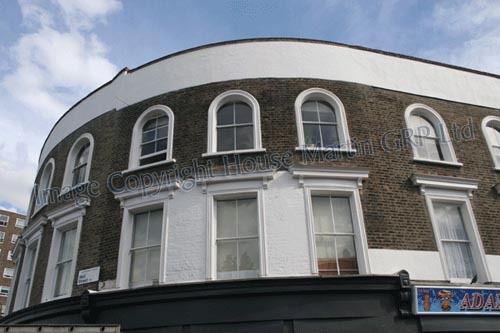 The front of the building featured broad copings, and the installation of traditional cast stone copings was considered unwise in an area which could attarct numerous visitors. After discussing the options we were asked to produce a flat coping 450mm wide x 100mm thick. The products are now installed, and even when viewed from close up look just like the real thing. Even in the event of a storm or vandalism any risk of injury is minimised, as each 1200m long coping weighs less than 3kg. If you are in the area Mike and the team at Lifespring will be sure to give you a warm welcome. 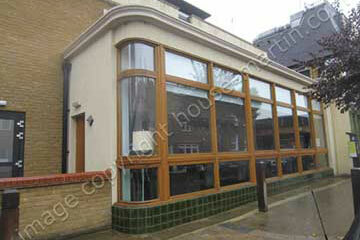 In 2010 the Alma Hotel at 499 Wandsworth Bridge Road was given a thorough facelift. Lang Daniels Paterson Architects worked with the main contractor Phelans to create a contemporary internal theme, whilst outside the property had to be kept in keeping with the original Victorian facade. Our string course was designed to blend in with the existing design, but with one key difference. Traditional cast stone options were too heavy, so our polystyrene stonecoat string course was used instead. 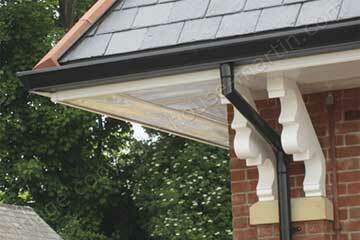 Each section was made to 1200mm lengths, with a small radius section utilised at the end of one run. 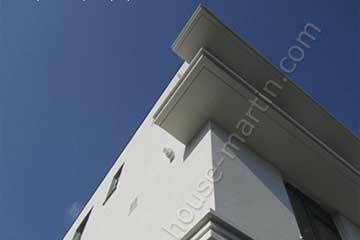 The end result is a long life string course which exactly mimics the finish of the adjacent building. 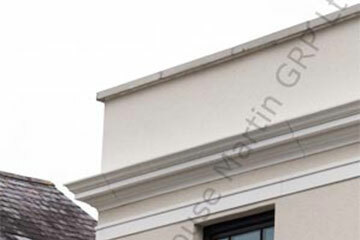 Stonecoat, offered the perfect solution, the right profile at the right price. 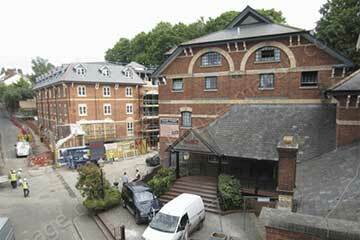 We were first involved with the St.Annes Well, Exeter, Student Accommodation scheme at the planning stage back in 2006. At the time there was insufficient funding to start work, but in December 2011 HW Pollard took delivery of our HM29 GRP dentils which have been designed to mimic timber mouldings on the Starz night club. We are delighted to see the job come to fruition. 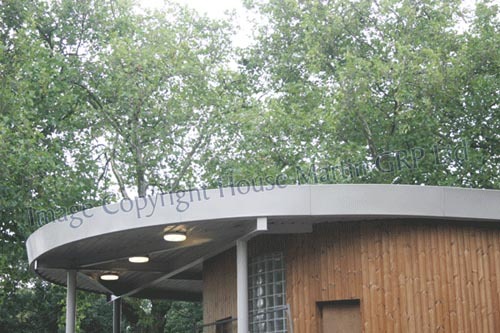 Part of the process has been working with architects, and sorting out details with the site agent. Unlike other suppliers from further afield we were able to offer the right site support to make sure the job ran smoothly. If you want a closer look just walk across the Iron Bridge behind the Harlequin Shopping Centre. 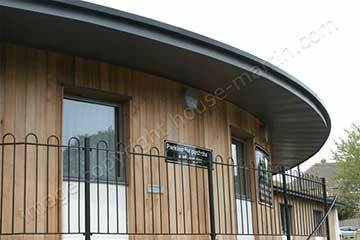 House Martin was chosen by Cardy Construction who needed a suitable rainwater system for this beautiful architect designed surgery. 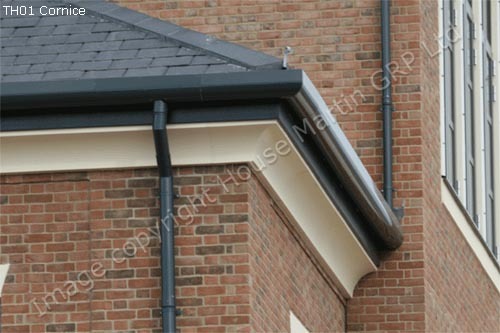 We were tasked with coming up with a suitable gutter system in November 2011, and the project was completed in Spring 2012. 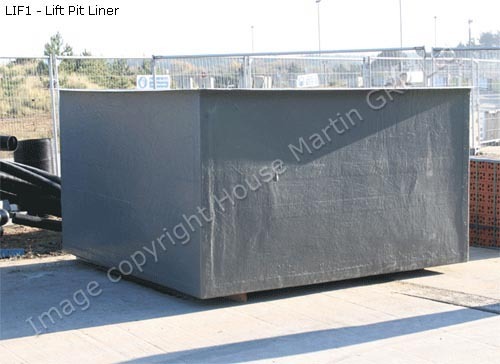 We were able to supply a black GRP box gutter suitable for the straight runs, and the concave curve above the main entrance. Case History - House Martin priced the decorative mouldings on this "Art Deco" building in 2008, and were told to expect an order. Not many months later the project ground to halt, and the development didn't go ahead. 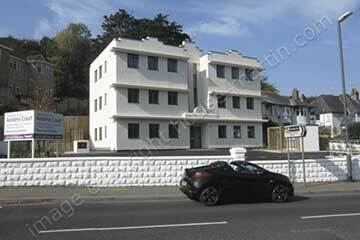 In the Spring of 2011 Midas Construction were appointed to complete this beautiful building, and asked if we could supply the canopies and "Art Deco" features at 2008 prices. The answer? 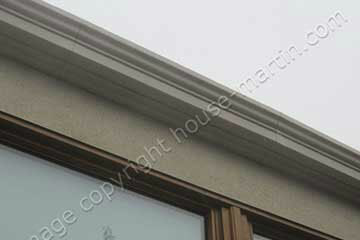 Rather than use GRP we offered our silica coated polystyrene profiles. 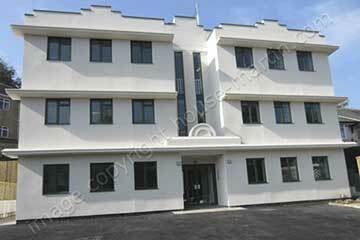 The result, a project that proceeded within the budget, and a stunning block of apartments. 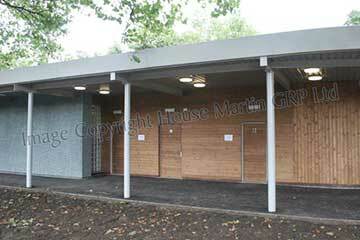 Project completed in September 2011. 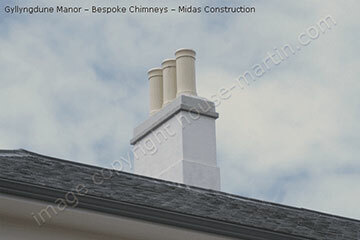 The first stage was to recreate the original masonry chimneys in a lightweight GRP construction. The render effect was colour coded to match the elevations, and we also created matching extra tall "cannon type" pots. 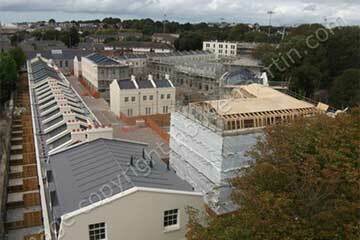 After the roof was completed work moved down to main entrance, window surrounds and string courses. What would normally be a straight forward installation was complicated by the fact that street elevation featured a radius half tower. 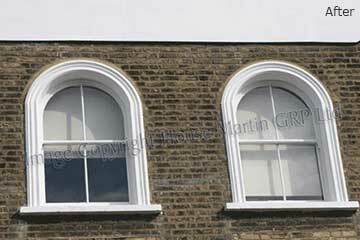 Our pattern maker created a curved string course, and radius window surrounds to match. The last items to be installed were 2 enormous square glass fibre columns, with a further 2 bespoke tapered circular columns to match. The end result? 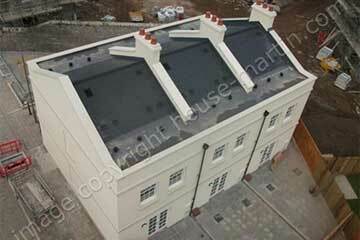 An exclusive development featuring traditional detailing made from House Martin lightweight materials. If you need something similar give us a call. 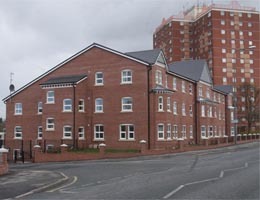 Wigan Social Housing Project - In 2009 The Bernard Taylor Partnership started working drawings for a large social housing development just a short walk from the famous Wigan Pier. 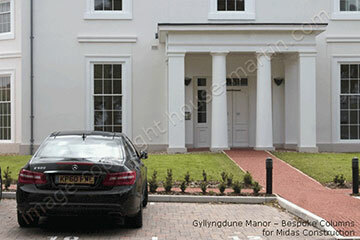 Stephen Biggs worked in conjunction with the architects advising on low maintenance decorative building products. 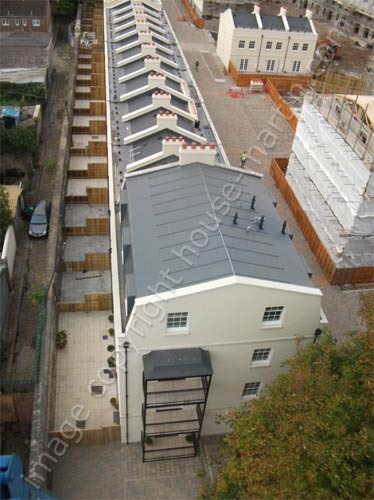 At ground level we were consulted and subsequently specified for production of structural canopy supports, with ornate "trellis" mouldings, whilst at eaves level we were able to offer our standard TF03 dentil mouldings in conjunction with GRP Tudor Boarding, and sculpted barge boards and ogee fascias. 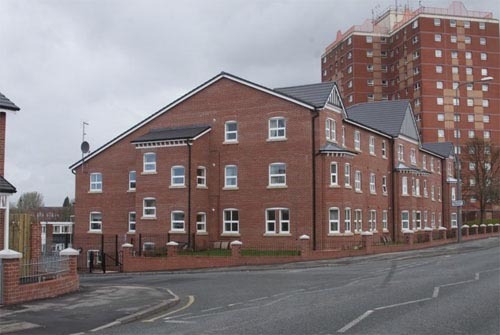 During 2010 Bardsley Construction from Dukingfield, Manchester worked to bring this project to fruition. Additional mouldings from our Xterio range were incorporated into the project, and House Martin were also able to offer on site advice and materials based upon our 20 years experience in eaves detailing. 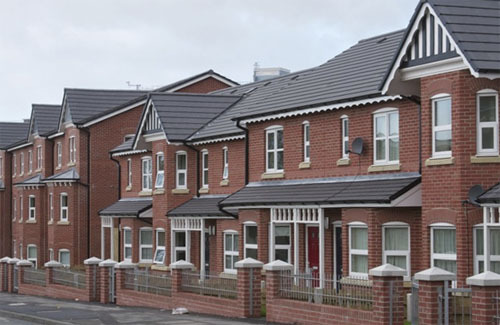 Wigan & Leigh Housing Association have since gone on to use these details on other sites in the region, with Frank Phillips Builders (Bryn) Ltd using House Martin dentils, porch trellises, and dentils on a two new sites in Spring 2011. 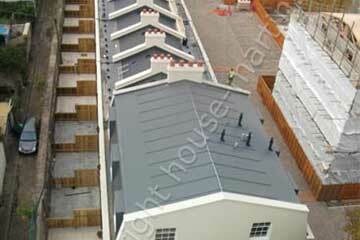 Call us on 0845 519 1987 to discuss your project. 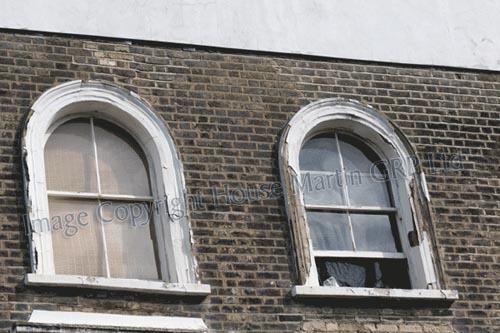 The Gallery pages contain more images of House Martin . 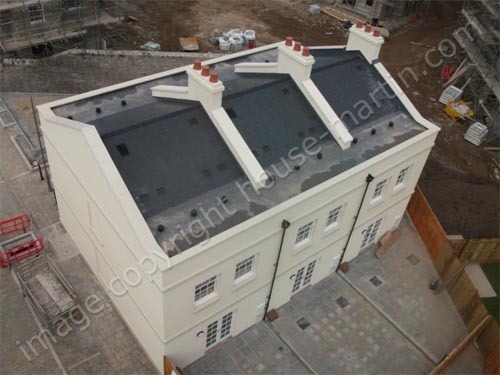 House Martin are delighted to be the chosen manufacturer of GRP building products on the prestigous Poundbury village project outside Dorchester. 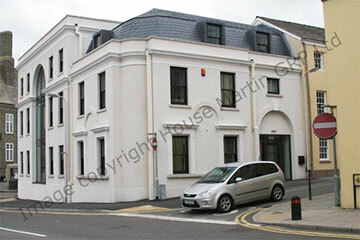 During November 2007 Prince Charles paid a visit to see how this clever mix of residential and commercial properties is progressing. We have been involved with GRP cornice to high levels towers where maintainance issues have preculded traditional timber alternatives. Our TH01 stone effect cornice forms a beautiful concave arc on the highest buildings that dominate the local skyline, whilst our Lift Pit Liners can be found inside the Dorset Fire Brigade's new headquarters. 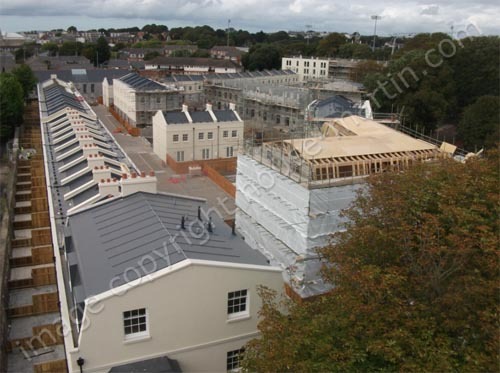 In addition, we are pleased to have been chosen for lightweight GRP stone effect corbels on numerous buildings at the Prince's other key project, the St. Austell urban village in Cornwall. 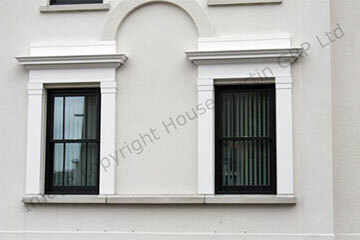 If you are looking to mimic a specific architectural detail we would be happy to discuss your individual requirements. We are happy to take on new designs, and can meet most low volume production needs given sufficient lead-time. House Martin provided the following bespoke mouldings for this project: large string course, small "hockey stick" string course, radius (curved) mouldings of the aformentioned items, window headers & pilasters and extra large key stone. 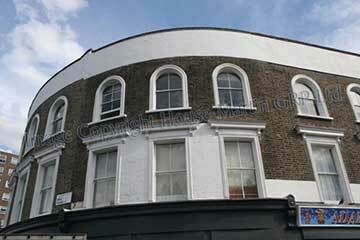 SCD Architects of London were faced with providing sympathetic refurbishments on seventeen dwellings in Well Street, Hackney. 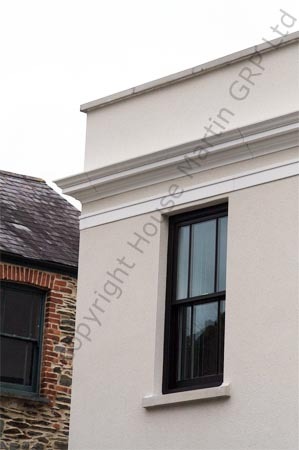 House Martin worked in conjunction with the main contractors (Caswells) to provide curved and linear window embellishments. 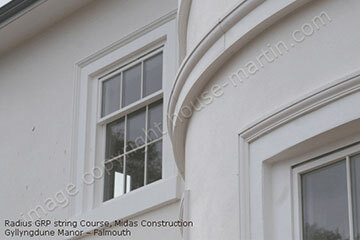 Particular care was required in fabricating window headers that matched the curvature of the building. 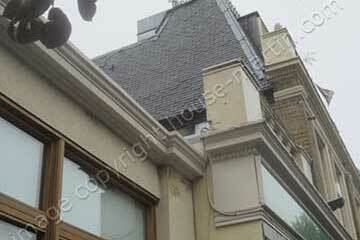 Products used included HMDC01V Canopy (window header), TF05 Corbels, and pre-finished PU mouldings. 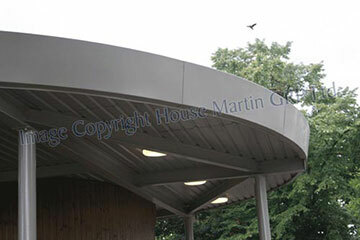 House Martin were approached by contractor Cranegates to provide a radius and straight fascia solution for a new cafe. Using GRP we were able to offer a beveled radius which could not be formed with traditional aluminium fabrication systems. 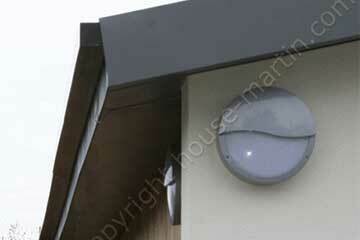 In addition, we were able to provide the fascia in a grey colour (RAL 7004) to match the soffit and window profiles. House Martin were chosen to provide decorative features for two new retail units in Gillingham, where planning constraints required a decorative frontage. 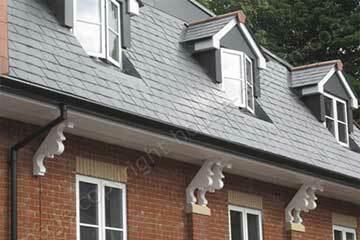 Products chosen include B409 Corbels, KP4 Pilasters, HMLYM Cornice and CH02R dummy chimneys. Mountwise Plymouth "The Village by the Sea"
House Martin are delighted to have worked with ADG architects and Leadbitter Construction on this prestigious 147 dwelling site which nestles next to the banks of the River Tamar. 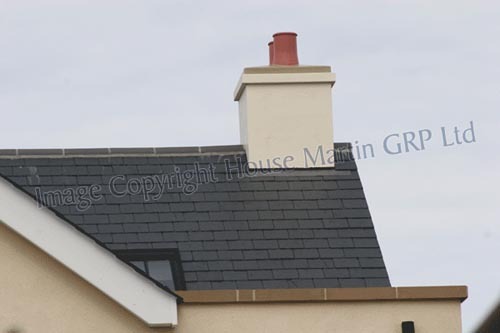 We have been selected to supply GRP chimneys, parapet walls, and door canopies to create attractive external detailing on these properties. We have also supplied thousands of metres of C217 Orac Luxxus coving for the kitchens and living rooms of these new homes. 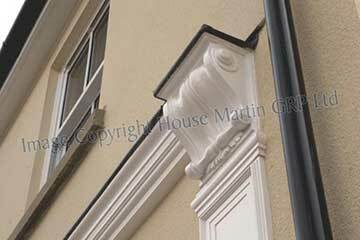 If you are looking for bespoke mouldings for your building project we’d be happy to assist.